The World Communication Forum Association (WCFA) was registered in Davos, Switzerland in November, 2014, upon the initiative of a group of dedicated communicators from Europe, Asia and Latin America. WCFA is a non-profit organization governed by the official Statutes and also by Articles 60 of the Swiss Civil Code. The association is an organization of unlimited duration. It is neutral politically, non-denominational, with a head office in Davos. WCFA is first about individuals who have the ability to think global, act global. Every such individual is an ambassador who not only represents her/his region or organization on this truly global platform but also aspires to be the frontrunner in the development of the global communication culture. WCFA is not a movement, an ideology or a charter that binds its members in any way. It is a way of thinking that is evolutionary rather than revolutionary. Thinking that is independent, unbiased and potent enough to catalyze a positive change in our society through better communication. Governments, businesses and academia around the world look towards the WCFA to build capabilities that can advance their own goals by participating in the annual agenda of the association. WCFA members participate through representation, leadership, partnership, knowledge creation, influence and actions that further the mission of the association. Due to the uniquely global nature of its members, WCFA is a brand that is continuously giving shape to its mission of communication sans boundaries, geographical or ideological. GOAL : WCFA aims to contribute actively to the development of the modern public communications worldwide. • Forming a cross-border and cross-cultural community of professionals and increasing its strong global influence via an agenda focused on communications, media, public relations, branding and leadership. • Proceeding from the idea of communication as a key factor in the development of the humanity and aiming to intensify the the research of future specifics: new behaviour models, educational models, recognition and influence. • Supporting young professionals by financing cross-national internships for students from communications schools. • Supporting the annual World Forum "Communication on Top" in Davos as a platform for discussion that shapes the global communications agenda and foresees the influence of different media channels on society, business and the communications industry. The most important new WCFA project in 2016 will be the development of Online Monthly Workshops. Another project launched as a last-year initiative: holding the Communication Camp for young professionals and MBA students in the summer of 2016 in Switzerland. 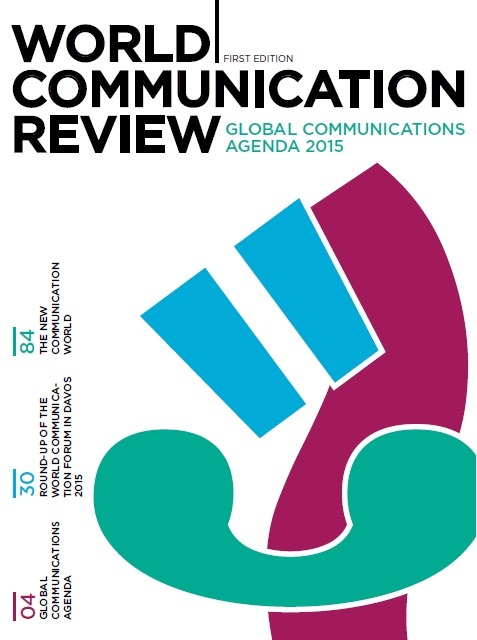 The WCFA will also continue supporting the edition of the printed annual World Communication Review. WCFA was founded by a group of distinguished communications professionals from Bulgaria, India, Mexico, Poland, Russia and Ukraine which includes all of the Executive Board Members and Founders listed below. * All members shall abide to the official Statutes of the organization.